After a tense 60 days our Flatpack Palais Kickstarter campaign is over. We’re delighted to have reached a grand total of £7,734- 110% of our target! We want to say a huge thank you to all of our 158 backers and also to everyone who helped us to spread the word. The support we’ve received throughout has been fantastic. Now comes the really exciting part of the project though as we can begin to bring the plans for the Flatpack Palais to life, in collaboration with BCU architecture students. We will also be getting in touch with our amazing backers to get them their well deserved rewards. The Flatpack Palais, in Digbeth’s Old Deritend Library, will have its grand opening on Thursday 28th March for our Kickstarter backers. 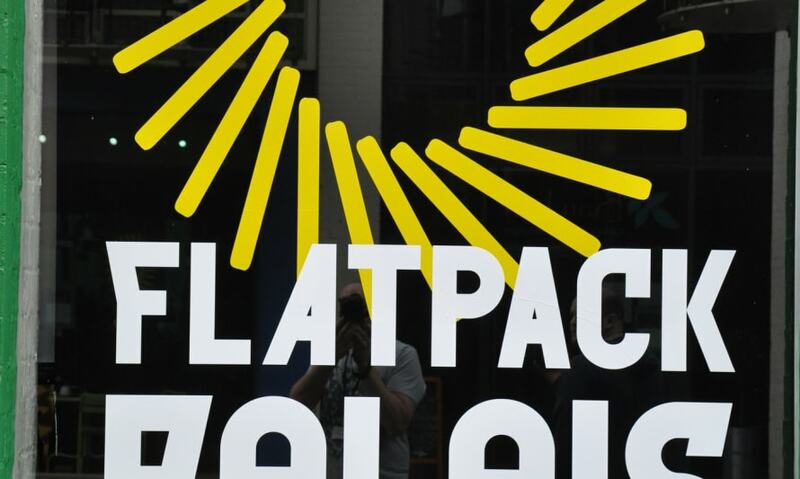 It will then remain open as the festival hub until the end of Flatpack, on the 31st. During this time we will have live music, shorts, installations and art displays- come along and check it out for yourself!